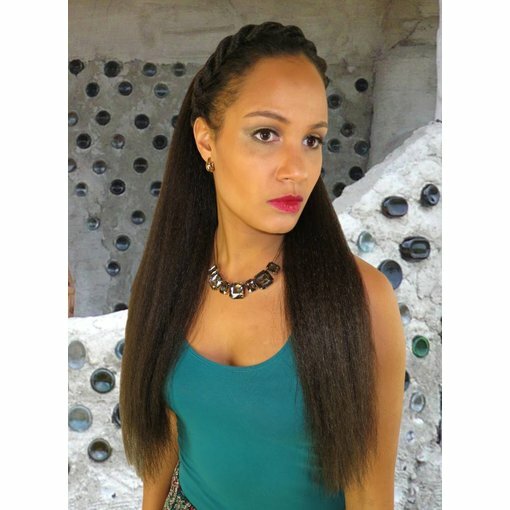 Custom color afro hair fall, size M, crimped hair texture and 55 cm/ 22 inches long. Made to order in every hair color, use it for many different stylings like a braided or twisted braid and lush bun updos as well! 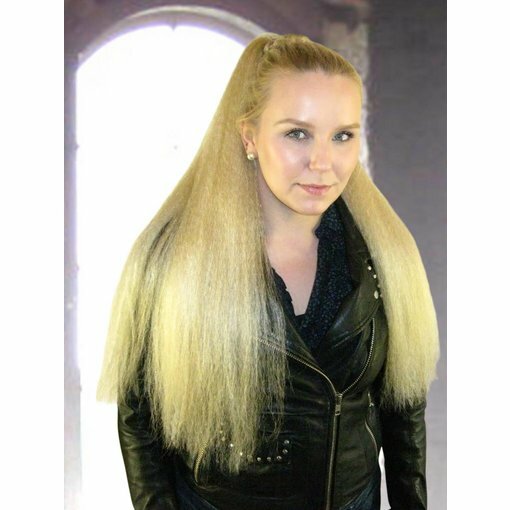 Custom color Goth hair fall, size M, crimped hair, 22 inches long. Made to order in every hair color, 2 attachments. High quality kanekalon hair. 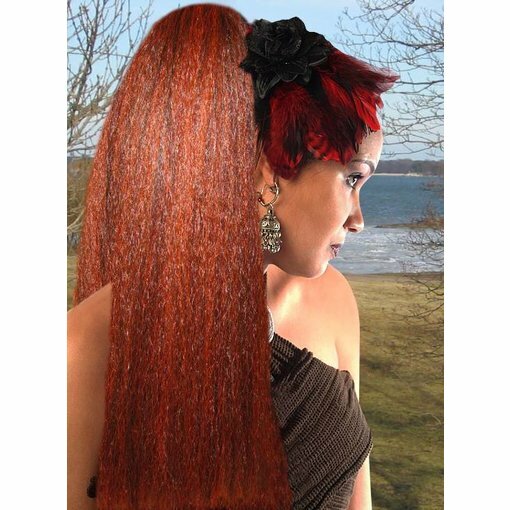 Custom color fantasy hair fall, size L, crimped hair, 22 inches long. Made to order in every hair color, 2 attachments. High quality kanekalon hair.